Day Walks in the Yorkshire Dales is the fourth title in Vertebrate Publishing's series of compact and portable hill walking guidebooks. 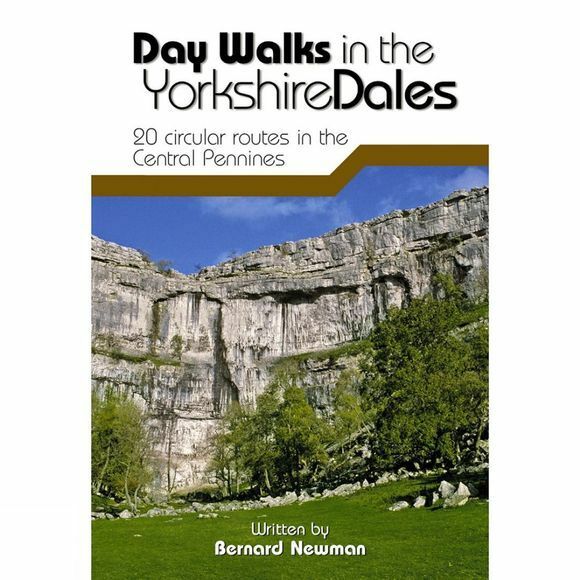 This book showcases 20 circular routes in the Yorkshire Dales National Park, between 6 and 11 miles (10km and 17km) in length, suitable for hill walkers of all abilities. The routes are split into three geographical areas–south, east, and north–and include walks to the Dales' most regarded beauty spots, such as Malham Cove, Cautley Spout, Brimham Rocks and the Norber Erratics, as well as the trio of sought-after peaks; Pen-y-ghent, Ingleborough and Whernside. The author of this guidebook, Bernard Newman, is a freelance outdoor writer and photographer, and former editor of the internationally acclaimed Mountain magazine. A Yorkshire Dales local and graduate geologist, in his route descriptions he explores the incredible geology that has created the breathtaking scenery on show in the Dales.